Lets do our part to keep our community clean. 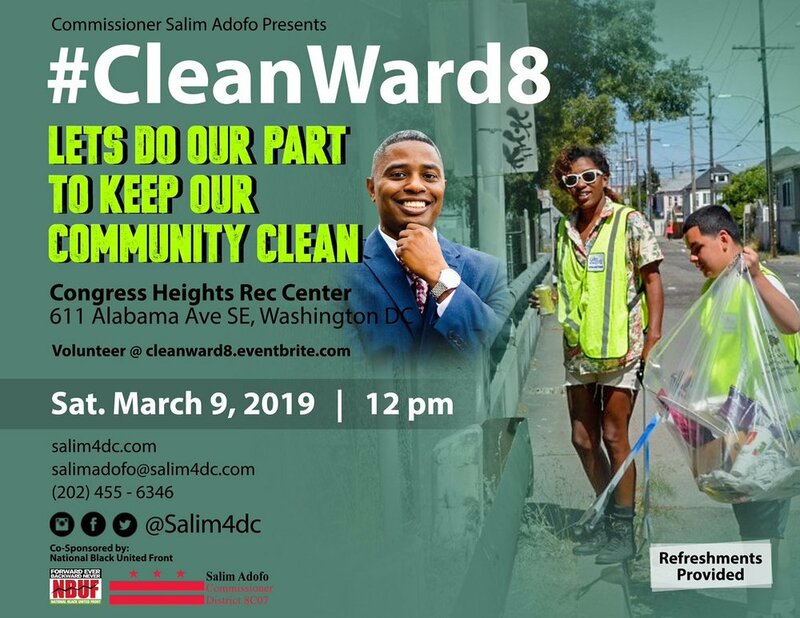 Volunteers are need to help clean up around the Congress Heights Recreation Center, MLK Elementary, Charles Hart Middle School and Simon Elementary School. A clean environment is important for safety, mental and physical health of our children and elders. Students will be able to receive volunteer hours as well.